San Sebastian, Spain. 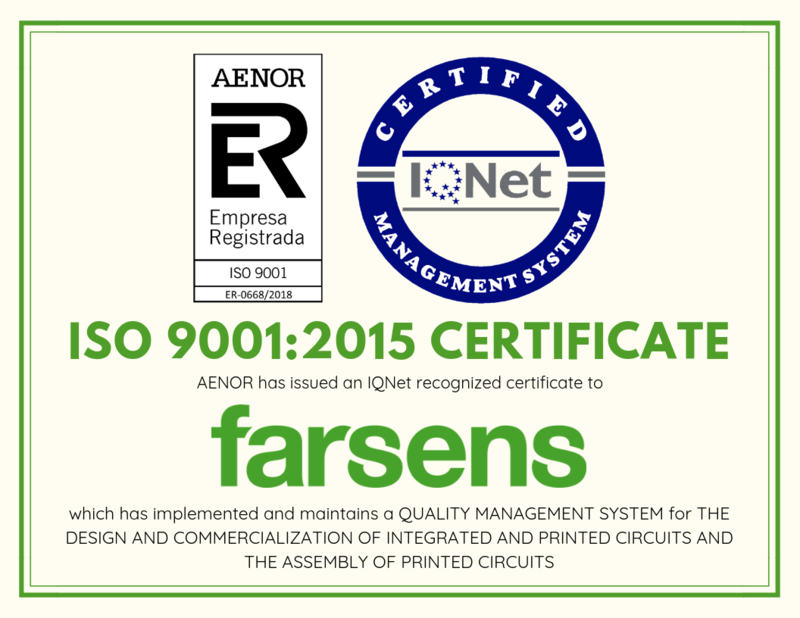 November 21, 2018 – We are proud to announce that Farsens has obtained the ISO 9001:2015 certification, which attests that this company focuses mainly on the effectiveness of the quality management system to meet customer requirements. Through the achievement of this international standard certificate, Farsens commitment is ratified so that our work processes are always oriented to have a continuous improvement, guaranteeing the maximum quality of our products and focusing on the satisfaction of our customers. Some of the measures are the principles of having a clear focus on the client, the focus on the processes, the thought based on the risk and the value in the maximum of the PDCA cycle (Plan-Do-Check-Act), so that they act in all our organizational levels. Keeping in mind that we live in a world where changes in the environment are constantly changing, we have adapted to have a solid base, progress in sustainable growth and try to be one step closer to our customers.